They are partying in Portland. Oregon today became the latest state to legalize recreational marijuana -- and Portlanders reportedly celebrated by lighting up in public. Legalization means that you can possess and use marijuana if you are 21 or older. You can have up to 8 ounces in your home and grow up to four plants, if they're kept out of public view. Oregon residents also can carry up to an ounce outside your house, but it's still illegal to smoke it in public. That's why puffing up in downtown Portland to celebrate legalization is illegal -- sort of like drinking in public. The Oregon Liquor Control Commission published an infographic called "What's legal? 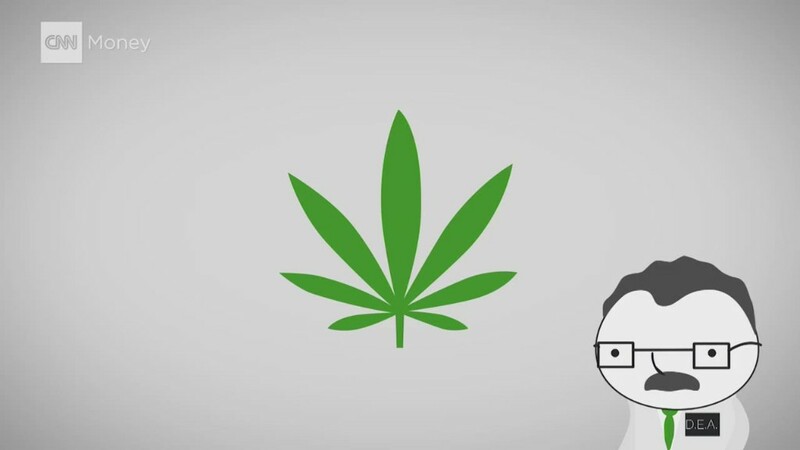 Educate before you recreate," which explains the dos and don'ts in stoner-friendly graphics. Pot smokers can share or give away marijuana, but they can't buy it or sell it legally until license retail shops open, which isn't going to happen for a year, at least. The Portland chapter of NORML, a pro-legalization organization, estimates that the first state-licensed retailers in Oregon won't go online until mid-2016 at least. Driving while stoned remains illegal, like drunk driving, as common sense would dictate. The new law that prevents Oregon residents from transporting weed out of state -- even to neighboring Washington, where marijuana is legal. This is because marijuana remains illegal in the eyes of the federal government. President Obama and Congress have shown little interest changing the laws, even though recreational weed is now legal in their own District of Columbia and a number of states, including Colorado and Alaska. Medical marijuana is legal in 20 states. Ohio could become the next state to legalize recreational and medical marijuana. The Colorado retail system is the most advanced. Voters legalized marijuana there in 2012, and recreational pot went up for sale on Jan. 1, 2014. A system for medical marijuana dispensaries was already well established, so it was relatively easy for those dispensaries to convert half their shops over to recreational retail. But banking remains a problem. Banks don't want pot money, because federal regulations frown upon it. So dispensaries rely on security firms to help them guard the cash.